In the TieApart online store you will find the ideal mens bags, an accessory which reminds of past times and very trendy at the moment, which is gaining more and more vogue. Mans bags are becoming a must have element for men, an accessory which now is not exclusively for women, for work or for school. Mans bags are once again fashionable and are conquering new spaces and will soon be irreplaceable. This is mainly thanks to the great practicality, enabling you to keep safe your wallet, keys and smartphone, especially when you are wearing light clothing and you want to feel free. Have a look at our many fashion bags in our wide catalog and make your choice. Think of the functionality they offer and the style which enable you to match to your clothing. In the offer we are presenting, you will find the typical briefcase used by managers, a leather mens bag made in first choice materials. Even the men with an urban look will find something to satisfy their needs in our store, like a mens satchel in nylon with high resistance, it is very appreciated by young creative professionals. 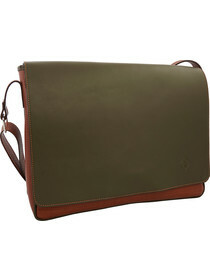 In our catalog there are also lots of mens fashion accessories which perfectly match your mens bag. For example, Mariani mens bags, which have a classic look, ideal to take to the office, elegant items made in high quality leather that resist to intense use, perfect matched with an Exibit mens belt, for a great stylish look. On TieApart it is easy to find the item of your dreams, simply browse our offers on bags for men and you will surely find the one for you at an exceptional price. Don’t miss this opportunity to get an essential accessory to complete your outfit.